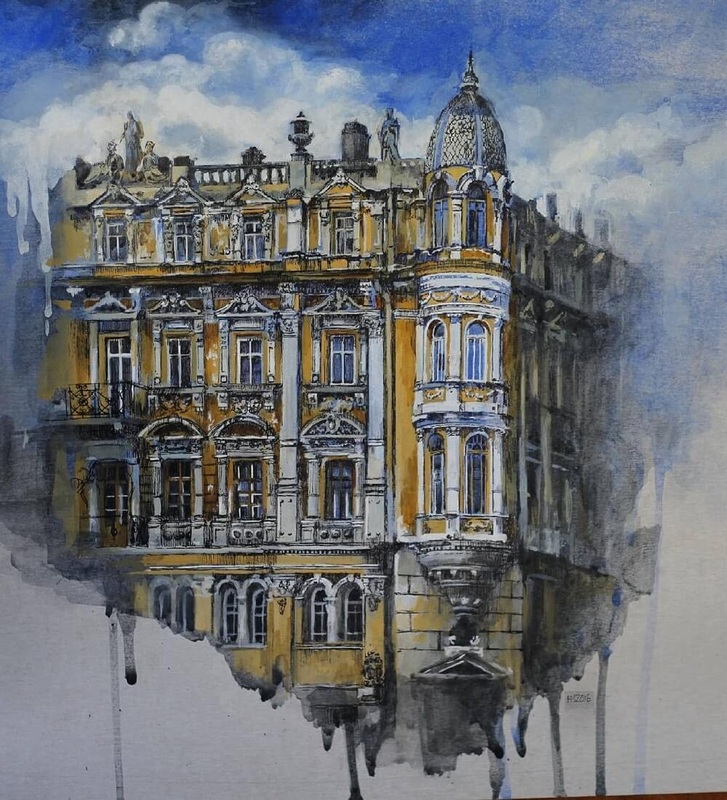 Architecture in towns and cities, expressed in mixed media art. 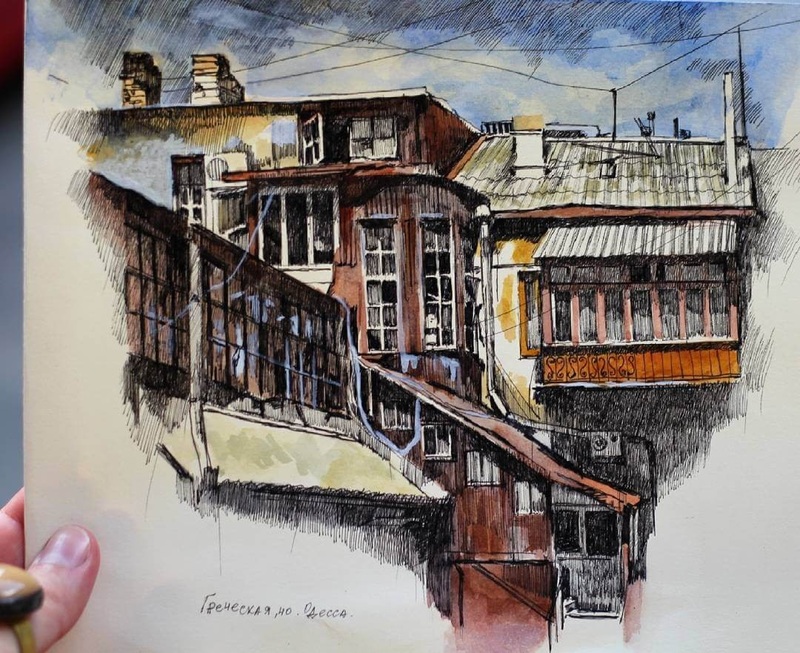 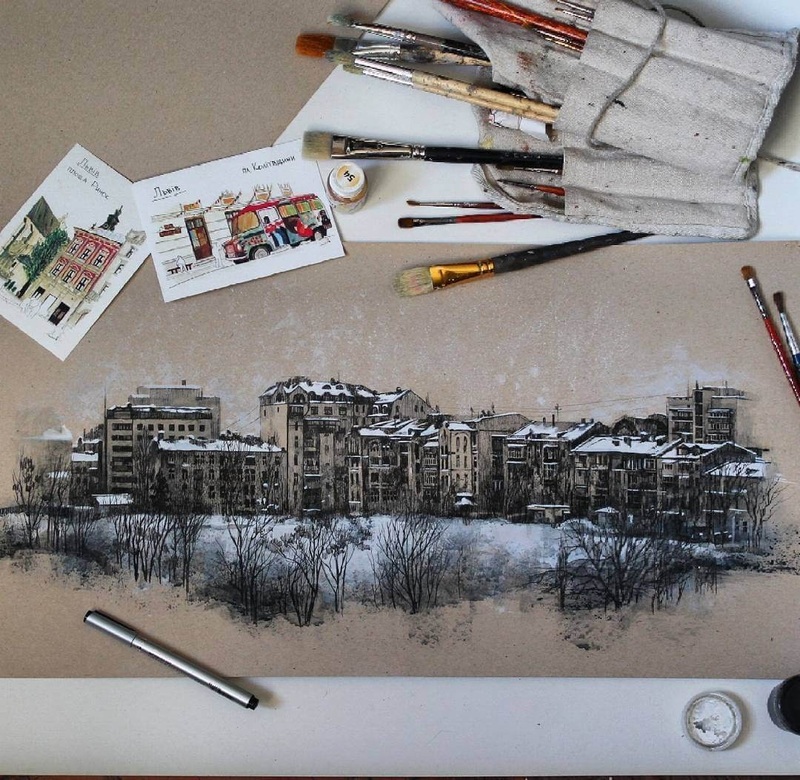 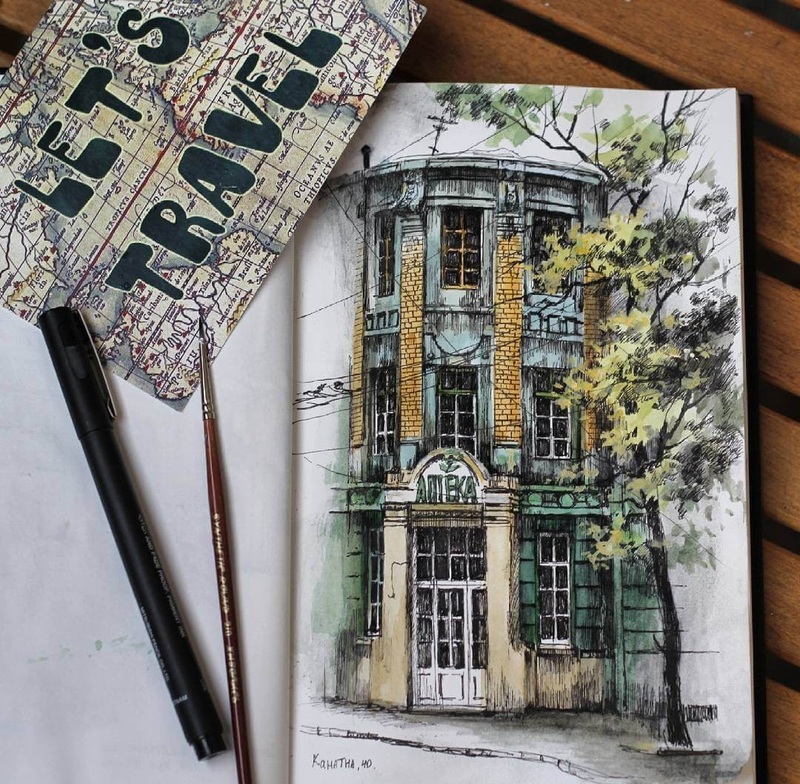 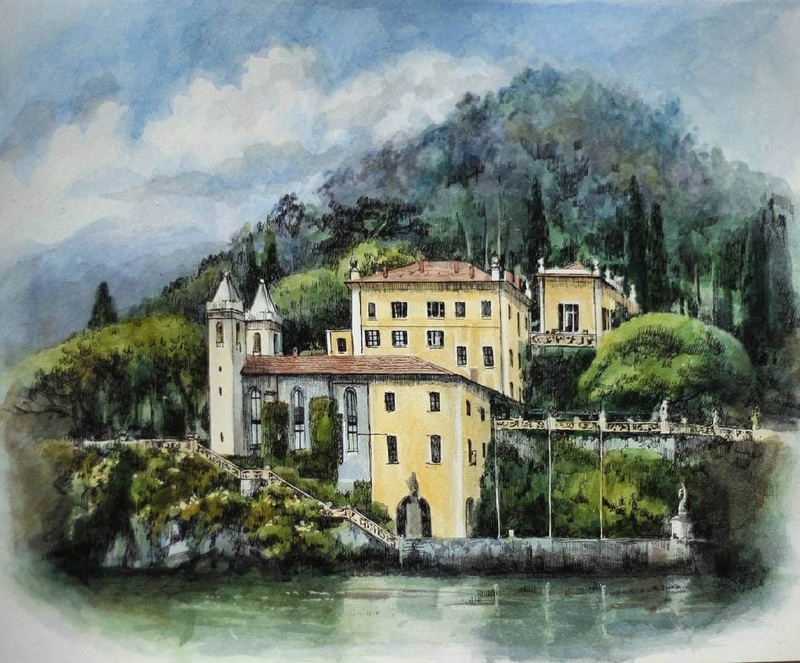 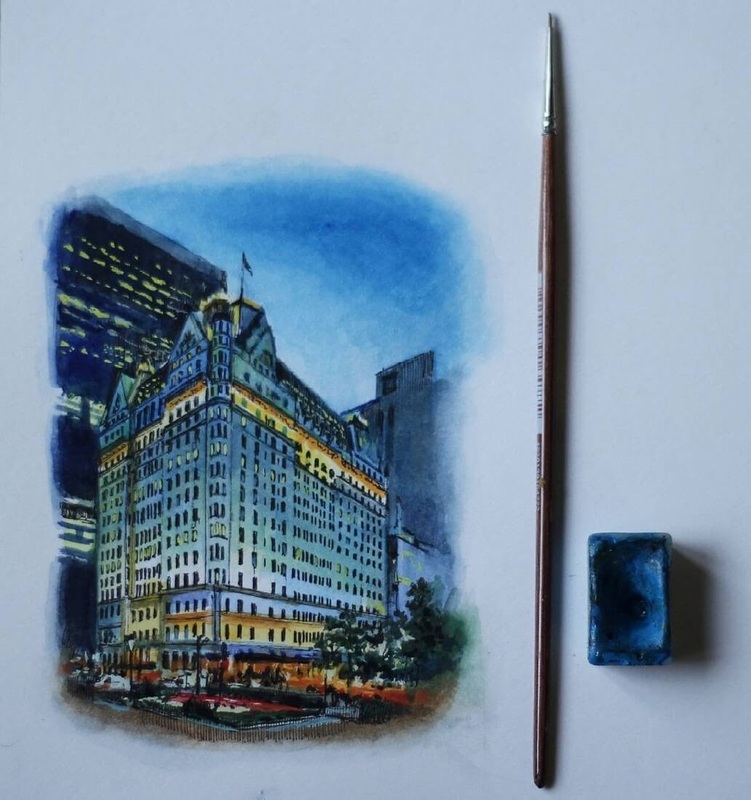 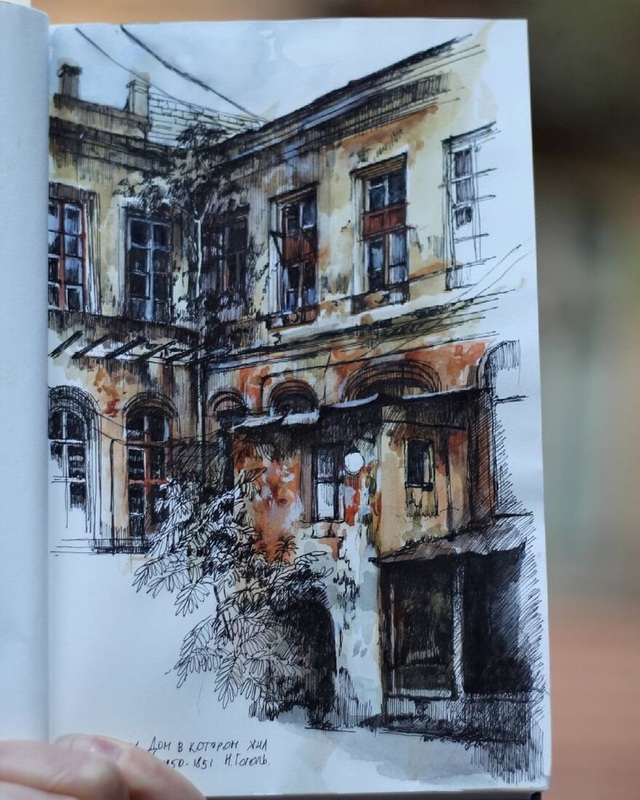 This is how Martha Nyrkova describes herself: "Artist, urban sketcher, restorer from Kyiv, Ukraine." 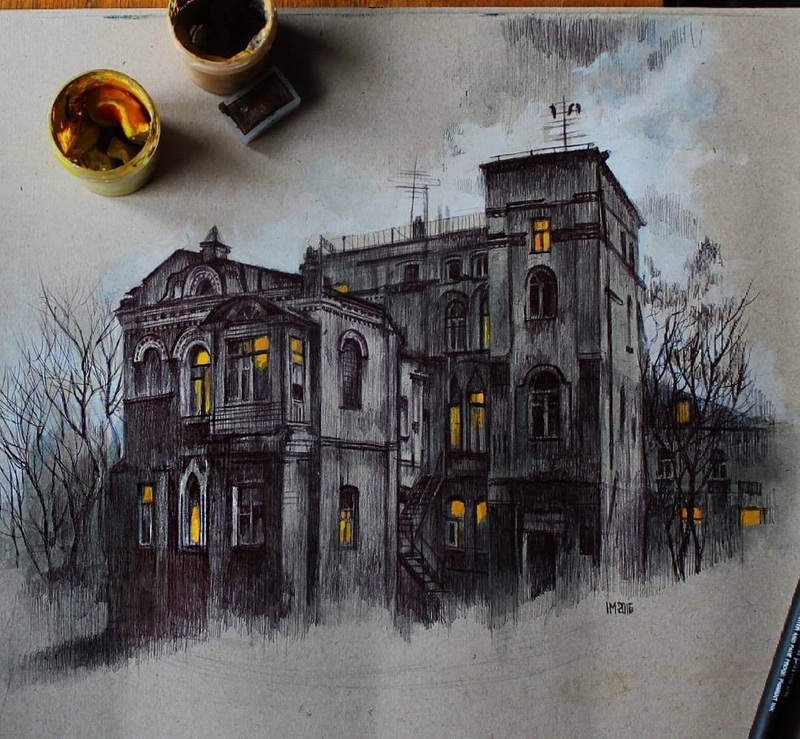 As well as varying the medium, drawing and painting, she also chooses different materials for it. 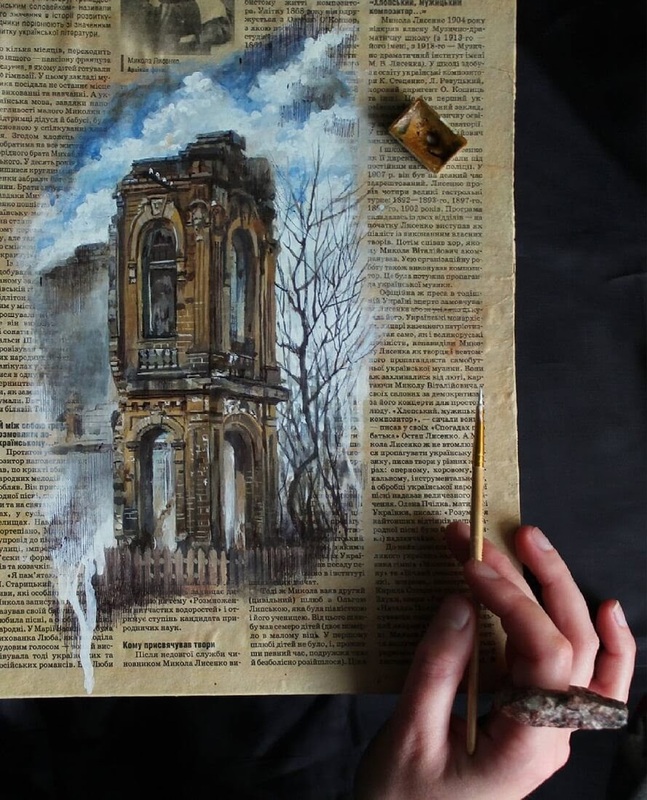 From artists' notebooks and paper, to newspaper pages. 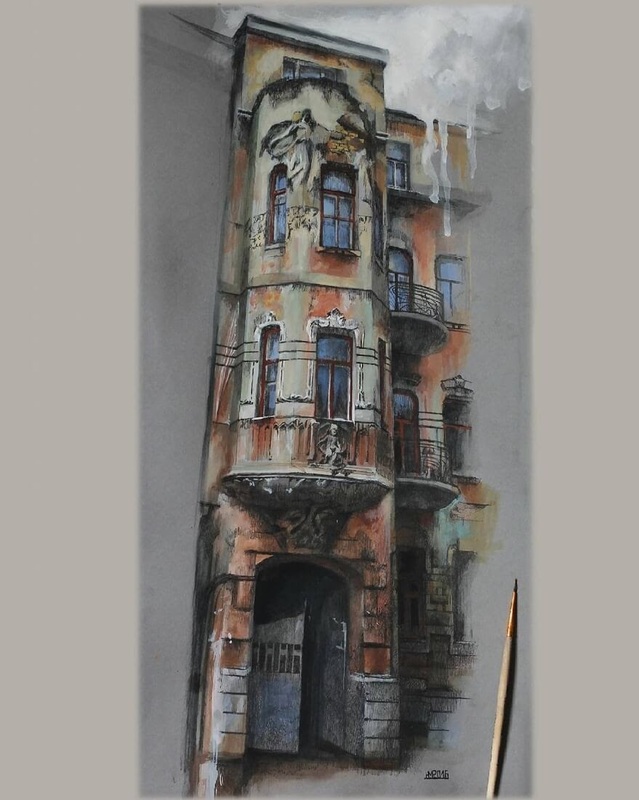 I really like this last one, as it adds a lot of character and contrast to the finished piece, by supporting and enhancing the art. 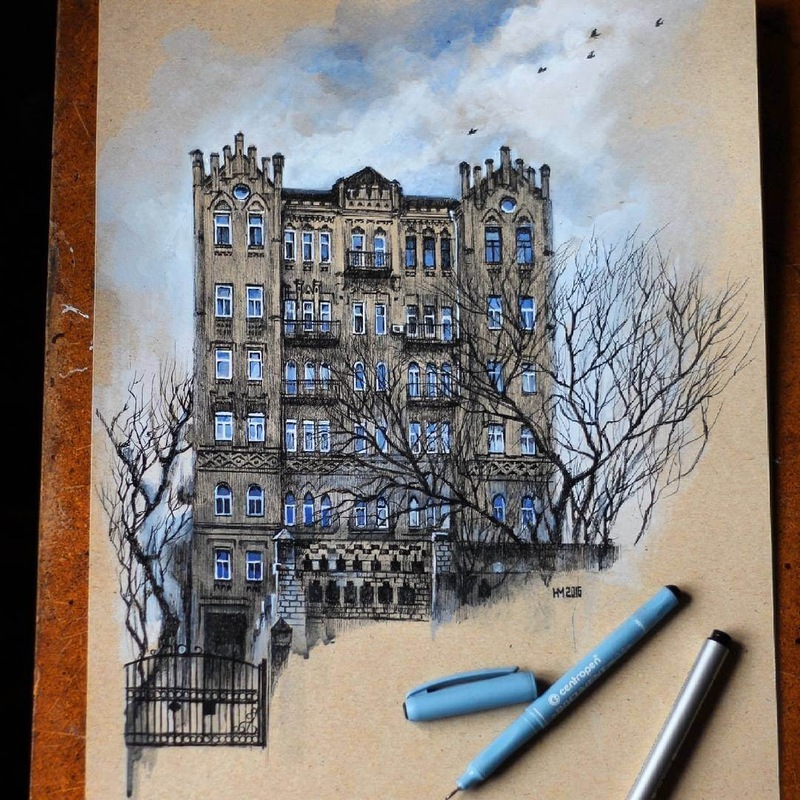 Many buildings nicely detailed, to bring out the best from each one of them. 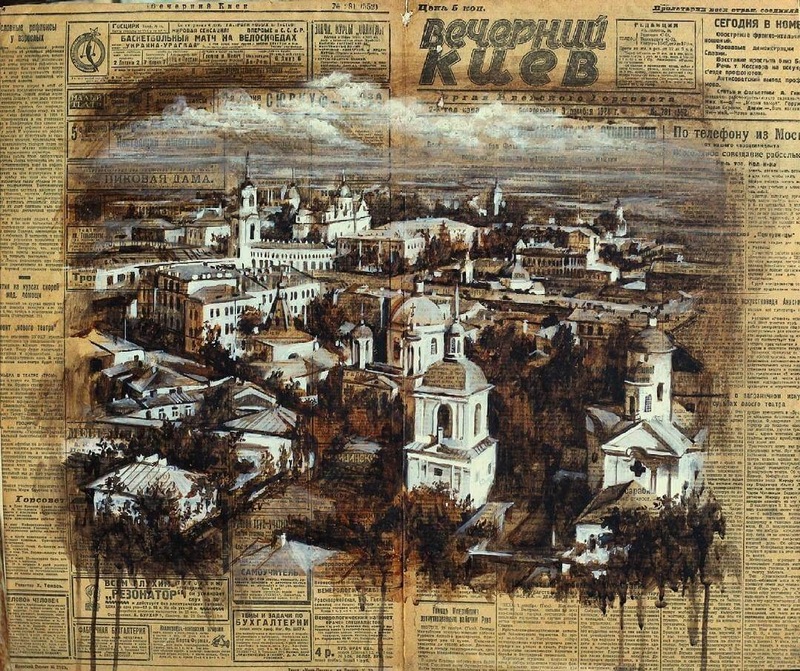 Verkhnii Val 4 historic neighborhood Podil in Kiev. 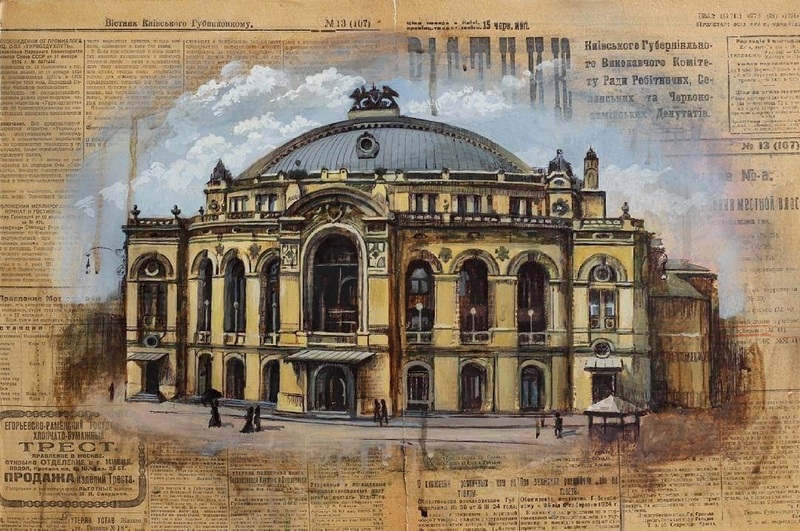 School of Art in 1901-1902. 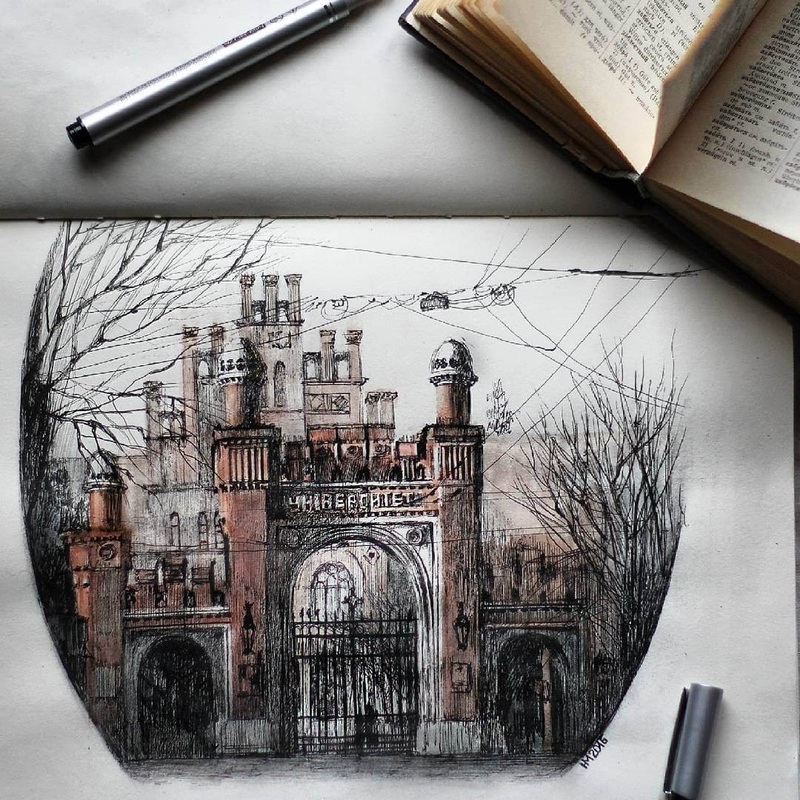 The Castle of Dr. Lapynsky. 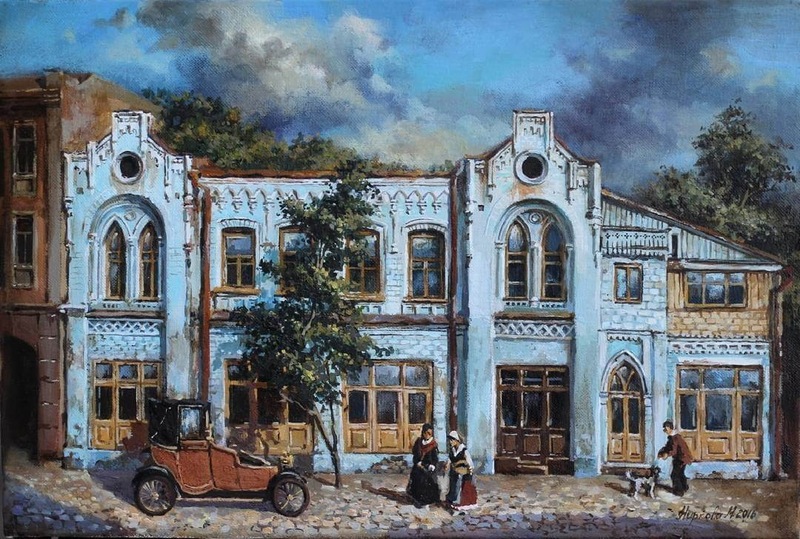 The house of B. E. Liebmana in Odessa.